On this week’s San Diego Explained, Voice of San Diego’s Maya Srikrishnan and NBC 7’s Monica Dean look into the local ramifications of the new “zero tolerance” border policy. Ever since Attorney General Jeff Sessions announced a “zero-tolerance” policy at the border, San Diego’s immigration courts have been flooded with hundreds of cases each week. In the past, courts had largely stopped prosecuting misdemeanor charges and focused their attention on prosecuting felony charges against those who had entered the country illegally several times or who had a criminal record. The new policy and the resulting surge in cases is creating chaos in San Diego’s federal court, and prosecutors, defense attorneys, judges and others are all still trying to figure it out. Defense attorneys say there is not enough time on the court’s calendars to hear all cases, or detention space to house defendants. 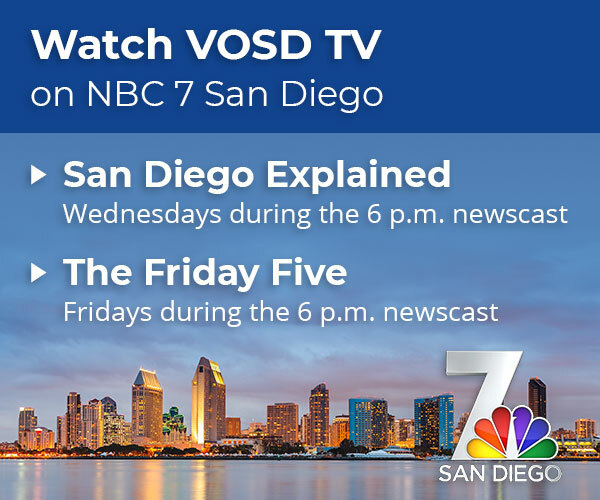 On this week’s San Diego Explained, Voice of San Diego’s Maya Srikrishnan and NBC 7’s Monica Dean look into the local ramifications of the new policy.